This report draws on in-depth interviews by scholar Whitney Phillips to showcase how news media was hijacked from 2016 to 2018 to amplify the messages of hate groups. After reviewing common methods of “information laundering” of radical and racist messages through the press, Phillips uses journalists’ own words to propose a set of editorial “better practices” intended to reduce manipulation and harm. 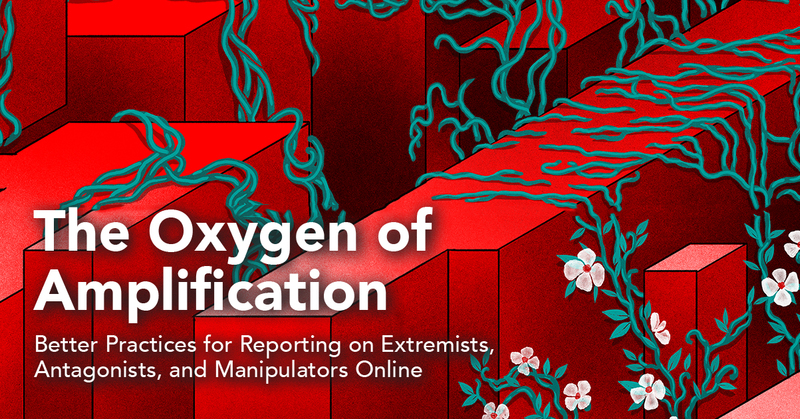 This work is the first practitioner-focused report from Data & Society’s Media Manipulation Initiative, which examines how groups use the participatory culture of the internet to turn the strengths of a free society into vulnerabilities. Original source of Erdős–Rényi model. In the mathematical field of graph theory, the Erdős–Rényi model is either of two closely related models for generating random graphs. They are named after mathematicians Paul Erdős and Alfréd Rényi, who first introduced one of the models in 1959, while Edgar Gilbert introduced the other model contemporaneously and independently of Erdős and Rényi. In the model of Erdős and Rényi, all graphs on a fixed vertex set with a fixed number of edges are equally likely; in the model introduced by Gilbert, each edge has a fixed probability of being present or absent, independently of the other edges. These models can be used in the probabilistic method to prove the existence of graphs satisfying various properties, or to provide a rigorous definition of what it means for a property to hold for almost all graphs. Networks of coupled dynamical systems have been used to model biological oscillators1–4, Josephson junction arrays5,6, excitable media7, neural networks8–10, spatial games11, genetic control networks12 and many other self-organizing systems. Ordinarily, the connection topology is assumed to be either completely regular or completely random. But many biological, technological and social networks lie somewhere between these two extremes. Here we explore simple models of networks that can be tuned through this middle ground: regular networks ‘rewired’ to introduce increasing amounts of disorder. We find that these systems can be highly clustered, like regular lattices, yet have small characteristic path lengths, like random graphs. We call them ‘small-world’ networks, by analogy with the small-world phenomenon13,14 (popularly known as six degrees of separation15). The neural network of the worm Caenorhabditis elegans, the power grid of the western United States, and the collaboration graph of film actors are shown to be small-world networks. Models of dynamical systems with small-world coupling display enhanced signal-propagation speed, computational power, and synchronizability. In particular, infectious diseases spread more easily in small-world networks than in regular lattices. “Professionals and amateurs in a variety of fields have passionately argued for either one or two spaces following this punctuation mark,” they wrote in a paper published last week in the journal Attention, Perception, & Psychophysics. They cite dozens of theories and previous research, arguing for one space or two. A 2005 study that found two spaces reduced lateral interference in the eye and helped reading. A 2015 study that found the opposite. A 1998 experiment that suggested it didn't matter. I love that the permalink for this article has a trailing 2, which indicates to me that it took the editors a second attempt to add the additional space into the headline for their CMS. And if nothing else, this article is interesting for its layout and typesetting. 7. Take on all train journeys for next year. Don’t read. The ability of humans to accumulate knowledge and information across generations is a defining feature of our species. This ability depends on factors that range from the psychological biases that predispose us to learn from skillful, accomplished, and prestigious people, to the development of technologies for recording and communicating information: from clay tablets to the Internet. In this paper we present empirical evidence documenting how communication technologies have shaped human collective memory. We show that changes in communication technologies, including the introduction of printing and the maturity of shorter forms of printed media, such as newspapers, journals, and pamphlets, were accompanied by sharp changes (or breaks) in the per-capita number of memorable biographies from a time period that are present in current online and offline sources. Moreover, we find that changes in technology, such as the introduction of printing, film, radio, and television, coincide with sharp shifts in the occupations of the individuals present in these biographical records. These two empirical facts provide evidence in support of theories arguing that human collective memory is shaped by the technologies we use to record and communicate information.